Every family has its own Thanksgiving traditions, stories, and favorite dishes. It’s a rare Thanksgiving table, though, that doesn’t include some sort of pie. Thanksgiving and pie go together like, well, turkey and gravy. I always make pumpkin pie, spiced up with extra cinnamon, ginger, and cloves. Other families roll out the apple, cherry, pecan, sweet potato, or lemon meringue pies. But my childhood Thanksgivings always featured my Grandma Ballenger’s specialty: sugar cream pie. Nora (Eberhard) Ballenger’s parents came from Lehigh County, Pennsylvania, and when asked about her ancestry, all she could tell me was that her family was Pennsylvania Dutch. Sugar cream pie was one of her Thanksgiving staples, so naturally it became one of my favorites, too. She told me her mother, Mary (Comfort) Eberhard, used to make it when her jars of home-canned apples and other fruit ran out in the winter. Grandma didn’t use a recipe when she cooked, and was at a bit of a loss when, as a young bride, I asked her to write it down for me. She said you just take a little flour, some sugar, and some milk and mix them together. Well, let’s just say my first efforts proved it’s not quite that simple. Over the years I’ve tweaked the recipe to get it just the way I like it, creamy on the bottom with a milky layer on top and lots of nutmeg. It usually sets up just fine, but I still cross my fingers when I take it out of the oven. Place a refrigerated pie crust in a deep dish glass pie plate and crimp edges (I use Pillsbury’s Pie Crusts). Preheat oven to 400 degrees. Pour mixture into unbaked pie crust. Gradually pour in another ½ cup or so of milk to fill and pull a fork through to gently mix (don’t stir with a spoon). Drop the slivers of butter onto the pie. Bake at 400 degrees for 10 minutes. Lower temperature to 325 degrees, and bake another 40 minutes. Transfer carefully from oven. Pie may seem a little runny but will firm up as it cools. Refrigerate after cooling. 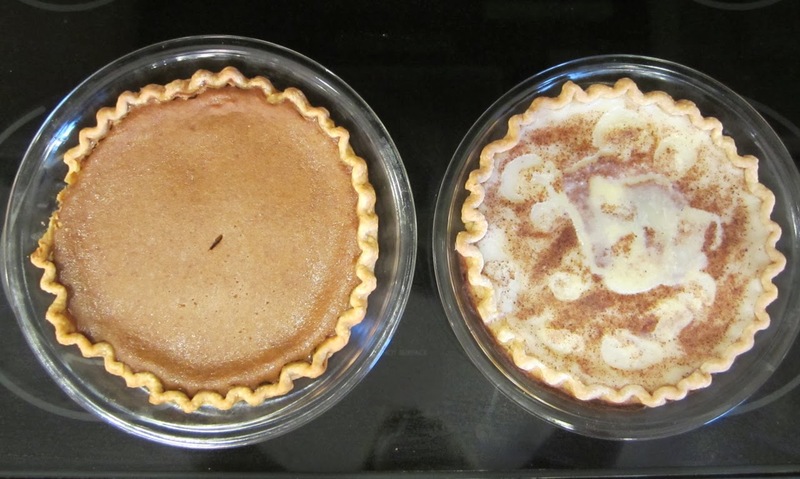 What pies are part of your Thanksgiving tradition? Whatever they are, I wish you a relaxing and enjoyable holiday, and hope you, like me, have much to be thankful for this year. Happy Thanksgiving! 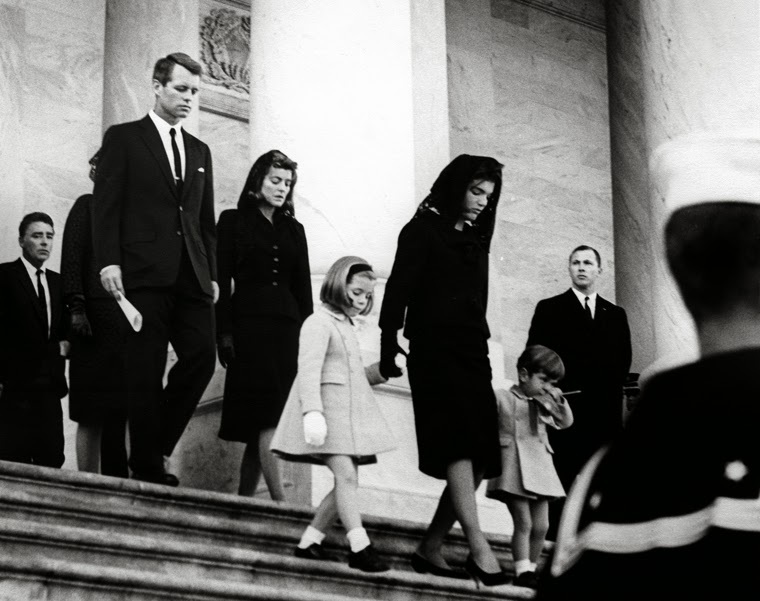 I was too little to understand what was happening the day John F. Kennedy died, having just turned four. My family lived in a house across from Smith Road Elementary School on the south side of Columbus, Ohio. My friend Holly lived a couple of blocks away. I wanted to go down and play with her, but the rule was I had to call first (Smith Road was a busy street, and Mom had to walk me down). I had learned how to dial Holly’s number by sticking my finger into the holes on the circle, but that afternoon I couldn’t get a call through to her on our party line. Every time I picked up the receiver, people were already on there, talking and talking. The news on TV didn’t interest me, and I was frustrated. At some point, my mom must have gotten upset and told me to quit pouting, the President had died and I wasn’t going anywhere today. When we watched the news coverage of JFK’s funeral a few days later, I was fascinated with Caroline, who was two years older than me. I thought she was pretty. She had a little brother, like me. I still didn't understand what happened, but I knew their daddy couldn't come home and play with them anymore. I was sad their daddy had died, and hoped my daddy wouldn’t die. My mom was 22 then, and her memory of the day JFK died is a lot clearer. She was driving the car, with my brother and I in the back seat, when a special bulletin came over the radio announcing that President Kennedy had been shot. She had almost reached Town and County Shopping Center, but was so unsettled by the news that she turned around and drove home. 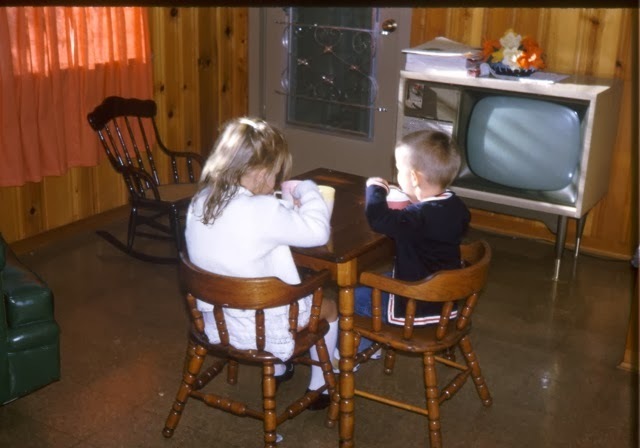 She called my dad at Reeb’s Restaurant, then switched on our black-and-white TV. They were showing footage of the President in the car. It looked like he was ducking down. Then they announced he was dead. Mom doesn’t remember me trying to call Holly, but thinks it was probably after we got home from our aborted shopping trip. Her mind, naturally, was on bigger matters by then. Kennedy’s death left her with a deep sorrow. She couldn’t understand why someone would want to kill him. He was doing so many good things. Two days later, Mom was watching the news on TV when she saw Jack Ruby shoot Lee Harvey Oswald, live, right there on the screen in front of her. She was horrified. What would happen next? It seemed like the world was going to hell in a hand basket. Mom says she didn’t feel like going out or doing anything for days after Kennedy died. When she did, it felt like a lot of the young, carefree feeling had gone out of her and the world. As small and insignificant as our individual memories may seem, they matter to us, and they’re worth preserving. As any family historian knows, someday they’ll help future generations understand us and our times. Collectively, our memories add up to the legacy of a nation. Think of how much of my mom’s memory, and even mine, is tied to the television. This was the first national tragedy to come into our homes on live TV. No wonder it shook the country to its core. I'll be reading accounts of other people’s memories with interest today and in the days to come. I’ve also been watching some of the televised specials commemorating the life of John F. Kennedy and analyzing his assassination. The one that moved me the most, and gave me the best sense of what it was like to live through those days, is Letters to Jackie: Remembering President Kennedy on TLC. The program has already aired, but I imagine they’ll rebroadcast it at some point. Fifty years later, I still think Caroline is pretty, and I wish her peace in remembering her father today. Kennedy photo credit: John F. Kennedy Presidential Library and Museum, Boston. How can you tell if your ancestor might have served? I recently put together a list of veterans in my family tree, both as a tribute to their service and a reminder to myself to research them further in military records. 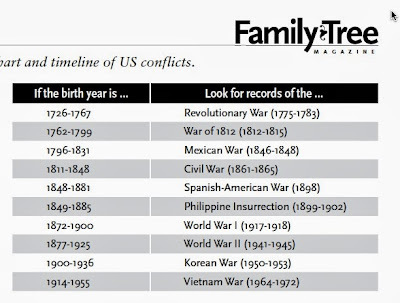 Someone asked me how I could tell if an ancestor was the right age to have served in a U.S. war or conflict. This is a great question, because identifying potential service is a natural first step to finding an ancestor who did serve in the military. 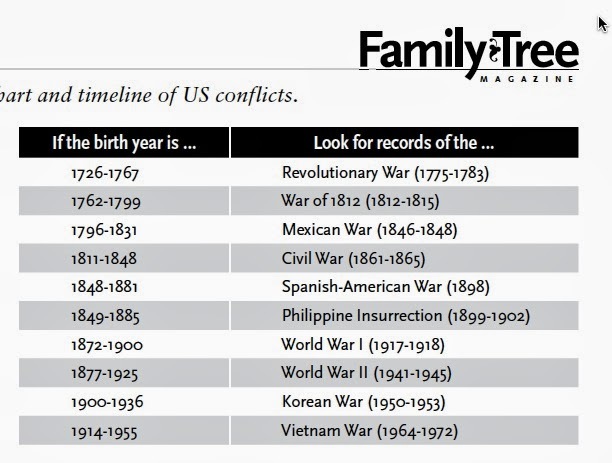 Fortunately, Family Tree Magazine has an excellent War Service Reference Guide available as a free download on their website, www.familytreemagazine.com. It lists the dates of every American military engagement through World War II, starting with the Powhatan Wars of 1622-1644. There’s also a handy chart showing the range of birth years for men who could have served in each major conflict, from the Revolutionary War through Vietnam. It’s a quick and indispensible one-page guide that I refer to often. To find it, click on “Research Toolkit” on the menu bar, then click on “Cheat Sheets.” Scroll down to “Record References” and you’ll find five offerings, one of which is the War Service Reference Guide. 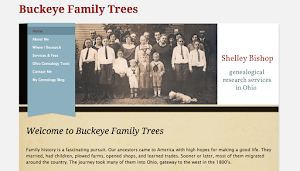 The information on the reference guide is taken from an article by Rick Crume that appeared in the November 2008 issue of Family Tree Magazine. Thanks to Rick and the editors of the magazine for offering this great resource free of charge. I hope you find it as helpful in your research as I have in mine. 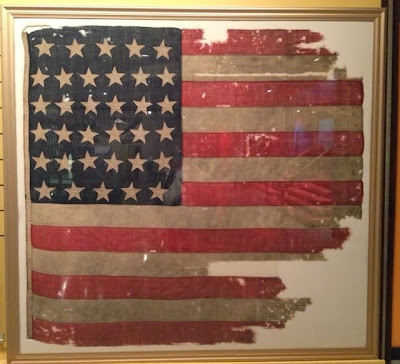 For this Veteran’s Day, I’ve challenged myself to compile a master list of my ancestors who served in the military. I want to pull this information together both as a tribute and as a reference to the veterans I’m researching, organized by the war they fought in. When I read about a new military records database that’s just become available online, or discover a resource for researching a particular war, I’ll have a ready reminder of the names I want to search for. A side benefit is that compiling any list of this sort tends to expose gaps in my research, and reminds me of things I want to check into. 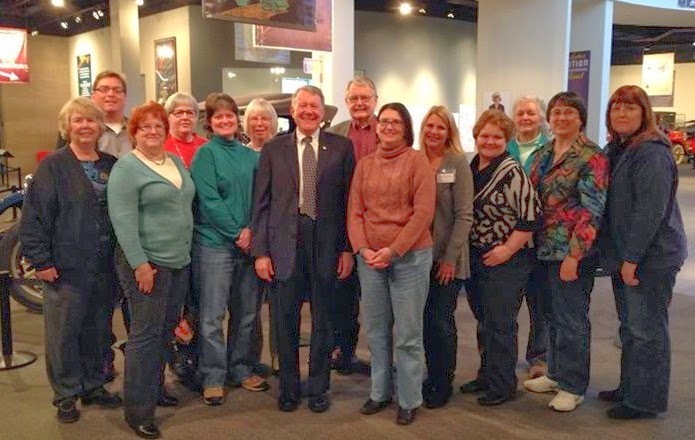 Notes: Dunmore County is now Shenandoah County. Notes: Jacob also fought in the Battle of Point Pleasant in Lord Dunmore’s War, before the outbreak of the Revolutionary War, under Capt. John Tipton. Notes: Newel contracted measles during the war, resulting in hospitalization in the U.S. General Hospital in Gallipolis and a lifelong struggle with epilepsy. Notes: John was hospitalized due to illness in Huntsville, Alabama, and for the last year of his enlistment served as company cook. He suffered from weakness and disabilities after the war. Notes: Ludwig also went by the American name “Louis.” He received a gunshot wound in battle at Chickasaw Bayou in late December 1862, and was given a disability discharge in April 1863. Notes: Roy served in the Meuse-Argonne Offensive (Battle of Argonne Forest) on the Western front. Have you found a good way to keep track of the veterans in your family tree? If so, I’d like to hear how you do it. And if not, why not make a list like this for yourself? If you post it online, feel free to share a link in the comments section below.